Meeting Nicole and seeing her product was a delight. Her designs are fresh and beautifully handcrafted. 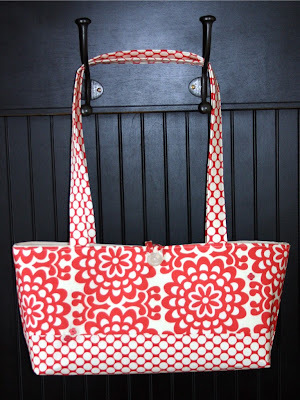 From baby items to handbags, the fabrics are lush and put together in colorful combinations. DBL: I've been crafting for as long as I can remember. I spent the summers down the Cape as a young child and can remember using my "sewing machine" to sew my father ties for work. I think I was around five years old. The needle and thread were even enclosed in plastic for extra safety :) From that point, I've pretty much dabbled in all things "crafty" -- from numerous art classes, photography, to beadwork and sewing. In junior high and high school, I had a passion for fashion design and creating my own clothes. My walls were covered with sketches of prom dresses and such. My focus switched to a career in nursing in high school, so art took the back seat for a while. My senior year in college, I reconnected with my love of art through an art history class and drawing 101. I've really discovered my love of sewing and the combining of colors over the past year or so. Having my children (ages 2, 4, and 6) has really sparked my love and desire for creativity all over again. It's funny what a box of crayola can do for you! I never knew I could get that excited or inspired walking into a newly discovered fabric store or opening a package of new fabric in the mail. DW: With three little ones how do you find time to create? DBL: With three little ones, fitting in time to create can be tough but it's definitely an essential part of my day. Fortunately, my children have caught the artistic "bug" and are more than happy to sit down with art supplies and get creative too.. I try to sneak in some time at the sewing machine while my youngest is napping but she prefers to "help" sort my pins and sit on my lap while I sew. I'm a bit of a night owl and usually find myself heading off to my workspace around 10pm and usually work for a few hours or so. I've taken over a section of "man-town" in the basement so my husband will occasionally hang out with me to keep me company. DW: Where does your inspiration come from to create? DBL: I get a lot of inspiration from color and the combinations I am able to create with them. 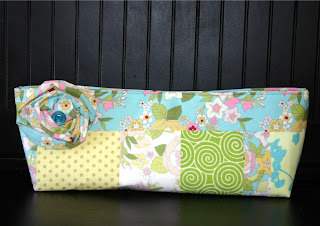 I have a love of patchwork and love incorporating modern fabrics into more traditional patterns. I enjoy scouring the various design websites and magazines for ideas in pattern and texture. DW: Do you create your own patterns, or follow patterns? DBL: For the majority of my pieces, I create my own patterns. I do need to learn to write my dimensions out before piecing things together. There have been several times that I surprise myself on the first trial run and then have to "recreate the wheel" in order to draft a formal pattern. I think that the fun part is sketching out an idea and then trying to recreate it in fabric. I'm embarassed to admit it, but I keep my sketchbook and markers in my nightstand for when those random ideas just come to me. Even my little ones help me "draft" ideas when we're coloring at the kitchen table. DW: When did you start your business? Why? DBL: I just started my business in the spring of 2007. I've always wanted to do it but something just made me decide the time was right. I love being a nurse but have always yearned for a more creative outlet in my life. I'm hoping that I will be able to develop it even more in the year to come. It has been a huge learning experience for me, but I have loved it every step of the way. DW: Do you have any advice for starting your own business, or tips that have helped you start yours? 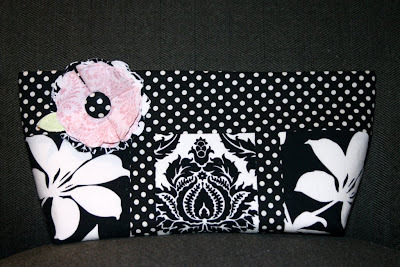 To see Designs by Lulubelle check out her Etsy shop!